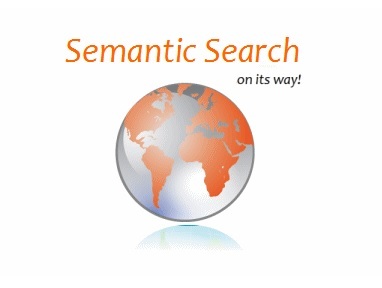 Blog Where Is Semantic Search? Searching semantically would mean that the system understands the searcher’s intent. Let’s compare a search on LinkedIn and X-Ray LinkedIn on Google. The second result is a “shallow” profile that has LISP among the skills; however, the person lists a certification for “Java SE 6” and did mobile development until recently – this was likely not done in LISP. (A quick search shows she’s the only one at her company with LISP on the profile.) Wrong result. Let’s switch to Google. X-Raying is tricky. We have less control over results since we can only use keywords; unlike LinkedIn or another database that has fields such as “job title”, Google deals with “just” pages. The first profile belongs to a person who calls himself a “Code Gardener.” His profile not only has LISP, but also lists LISP “dialects” – it says: “Development in Common Lisp, Clojure, LFE (Lisp Flavoured Erlang), Scheme, and Shen.” Very relevant! The second result is all right; it also lists LISP and its dialects. The third result is a profile of a big-time LISP fan and expert. He wrote in LISP at every one of his jobs and even “developed Lisp Machines.” Very relevant. Further Google results also start showing synonyms found instead of the entered keywords, for example, it finds “software developer” (a synonym for “software engineer”). How come databases (LinkedIn, many resume job boards, and people aggregators, as some examples) don’t automatically offer results that reflect some query understanding? (To be fair, Monster.com has implemented some semantic search features; it has been a while since I tried that search.) “Understanding” queries – at least simple ones – should be doable, especially by systems like LinkedIn, that have tons of data, from which the system can “learn”. They have long lists of similar job titles, related skills, etc., plus they get data on search results relevance from tracking users’ behavior. I am not suggesting that a database would auto-transform an entered query to a very long Boolean OR string – but rather, just show me what I might like to see as results. I guess it’s a question to the tool developers (those who’d read the blog post). Let’s see what they have to say. Loved the insights and differences shown dealing with google x-ray Vs Linkedin own search platform. Thank you for the article. I do find it interesting that LinkedIn search is so successful at offering fields such “job title”. It is also great at matching skills or interests. I am fascinated with your comparisons of Google Search and LinkedIn Search. Your article raises several good questions about the future of search. You may enjoy my article called “LinkedIn Helps Google Find Businesses”. Google search results show LinkedIn Profile. So stop reading for a moment and open a new window, open Google and type in your name. Does your LinkedIn profile come up in the number one spot when searching for your name? Nine out of ten times this will be the case unless you have many years of other data about yourself on the internet.